Research has shown that tumor vascular markers (TVMs) may serve as potential OCa biomarkers for prognosis prediction. One such TVM is ESM-1, which can be visualized by staining ovarian Tissue Microarrays (TMA) with an antibody to ESM-1. The ability to quickly and quantitatively estimate vascular stained regions may yield an image based metric linked to disease survival and outcome. 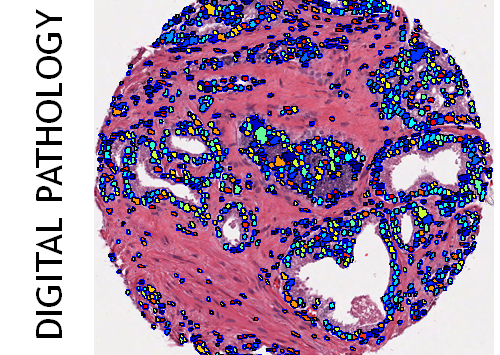 Automated segmentation of the vascular stained regions on the TMAs, however, is hindered by the presence of spuriously stained false positive regions. 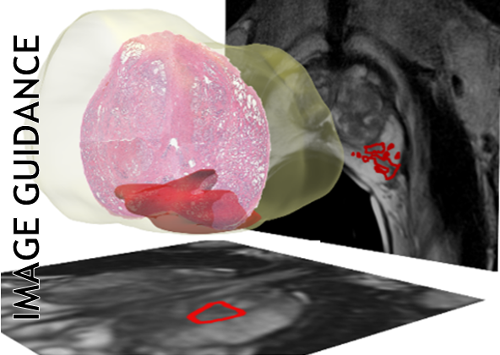 In this paper, we present a general, robust and efficient unsupervised segmentation algorithm, termed Hierarchical Normalized Cuts (HNCut), and show its application in precisely quantifying the presence and extent of a TVM on OCa TMAs. The strength of HNCut is in the use of a hierarchically represented data structure that bridges the mean shift (MS) and the normalized cuts (NCut) algorithms. 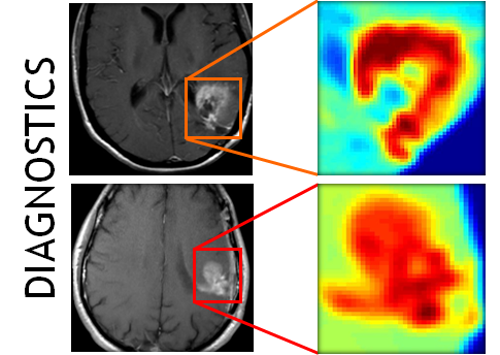 This allows HNCut to efficiently traverse a pyramid of the input image at various color resolutions, efficiently and accurately segmenting the object class of interest (in this case ESM-1 vascular stained regions) by simply annotating half a dozen pixels belonging to the target class. 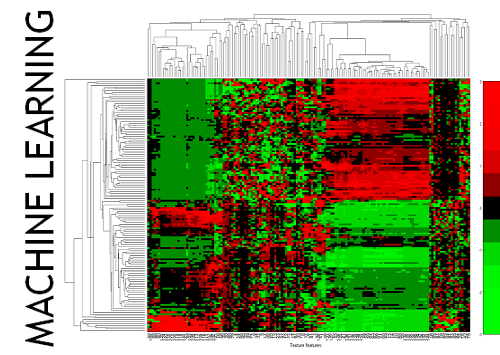 Quantitative and qualitative analysis of our results, using 100 pathologist annotated samples across multiple studies, prove the superiority of our method (sensitivity 81%, Positive predictive value (PPV), 80%) versus a popular supervised learning technique, Probabilistic Boosting Trees (sensitivity, PPV of 76% and 66%).